It seems like Christmas was just here, and suddenly, the status of your marketing calendar is giving you night sweats and your Google Calendar starts to explode with holiday marketing reminders. Then, there’s the inevitable question: How am I going to capitalize on the holiday sales to increase traffic? While many e-commerce brands see the holiday shopping season as little more than the cost of doing business, research shows e-commerce holiday sales grew close to 4% in 2015. It’s true; RJMetrics found that November and December bring in 30% more revenue than non-holiday months. In most e-commerce industries, Q4 is the highlight of the year. November and December bring in 30% more revenue than non-holiday months. Luckily, this year you have me. And if you’re in e-commerce, I’ve got your ultimate guide to staying on fleek through the holiday season and into the new year. Ahead find tips, tricks, and marketing campaigns for every single holiday until December. Just make sure to stay tuned for more holiday marketing in my next article! Despite the fact that we’ve yet to reach Thanksgiving or Christmas — I’m so excited to share in the e-commerce marketing giddiness. But before celebrations can begin, I need to define my performance metrics. It’s important to understand how your new customers are finding and what incentives are pushing customers to shop. You need to know where to find your customers and how they are finding you. There are only a few days a year that make all online retailers, well, freak out. The epic Cyber Monday is one of them, Black Friday is another, and our tap to click go aflutter for Giving Tuesday. So, where do you begin planning? First things first, create a holiday marketing budget. You want to align your budget with your holiday marketing goals. Costs can change if you’re primary focus is increased purchases for repeat customers or finding new customers. Determine my overall annual marketing budget. Hopefully, by now, you’ve already got your annual marketing budget in play. If not, I estimate at least 10% of total revenue (depending on your industry), to go toward marketing for the entire year. Figure out where to spend your money. Allocate funds to each category. Lastly, I assign each category with a monthly budget. Remember, there are many holidays within one month so take a step back to look at what holidays drive the most traffic for your brand. Upload holiday marketing budget to Google Calendar. Now, don’t get me wrong, I’m a big fan of Asana, Trello, Basecamp, and all that jazz. But, Google Calendar is one of my favorite tools to tracking my e-commerce holiday marketing budget. From color-coding and forecasting to sharing with my co-workers and clients, Google Calendar is my go-to for budgeting. It’s happened. 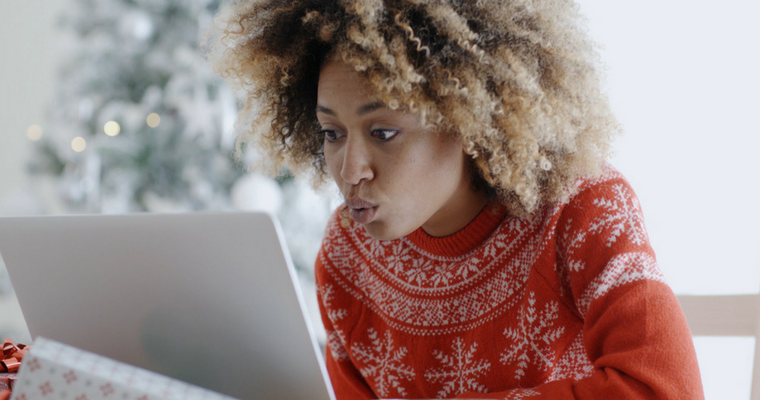 Your inbox is full of holiday email marketing campaigns, and your social feeds are just about at capacity with holiday glitter and elf memes. Yep, it’s time to prepare you and your brand for holiday season. Now, tally up the number of times you’ve said “I wish I would have planned something for that holiday” — a lot, right? Now, it’s early November, and we’re donning our sweaters sipping from Starbucks holiday cup. First, begin building a strategy around peak promotional periods and sales for your e-commerce company. For most online retailers, Cyber Monday is the busiest day of the year. Amazon already has its Black Friday Deals November 1. And, Temptations launched their holiday cat destruction ad already this year. To help plan your holiday marketing strategies, dive into the numbers from last year to find out what worked and what didn’t work. And, if you look at last year’s trends in Google Trends, you’ll see people started searching for ‘holiday gifts’ in September, then starting to peak in October. These numbers should help guide your plan based on the keywords and holidays you’re looking to target. Remember, you don’t want to participate in every holiday (that would be madness! ), choose what holidays fit your brand personality. In an upcoming article, I’ll be sharing a holiday marketing calendar. Stay tuned! While you could use one sparkly keyword search term 20 times over or forget about mobile completely, I know that’s not realistic for e-commerce brands to succeed during the holidays. SEO may not be top of mind this holiday season, but no matter how many sales your e-commerce business generates, SEO is not something to be forgotten. As brands approach this holiday season, you’ll want to re-optimize your SEO strategy to earn higher rankings and more conversions to make your products sparkle. But, how? Schedule optimal time for seasonal SEO changes. If you work in SEO, you understand that performance doesn’t change overnight. SEO takes months to produce results. With that in mind, crafting your promotional calendar to buffer adequate SEO time is essential. I plan for two to six months in advance of holiday campaigns. Build a holiday keyword list. When creating a holiday keyword list, brands should focus on previous year-over-year activity to determine what holidays drove the most sales and conversions. Use this legacy data to match Google Trend search patterns with keywords that represent your user’s intent to purchase. Now that you have the keywords, you want to target begin writing holiday-specific content paired with keyword terms. If you’re targeting similar keywords from the past, you’ll want to unarchive past landing pages to utilize the momentum, links, and performance from those pages. It is the same scenario if you’re creating a new page targeting a holiday-specific keyword. You don’t want to delete that page, just archive it for future repurposing. And, try to give yourself a 45-day window to publish content ahead of the time. 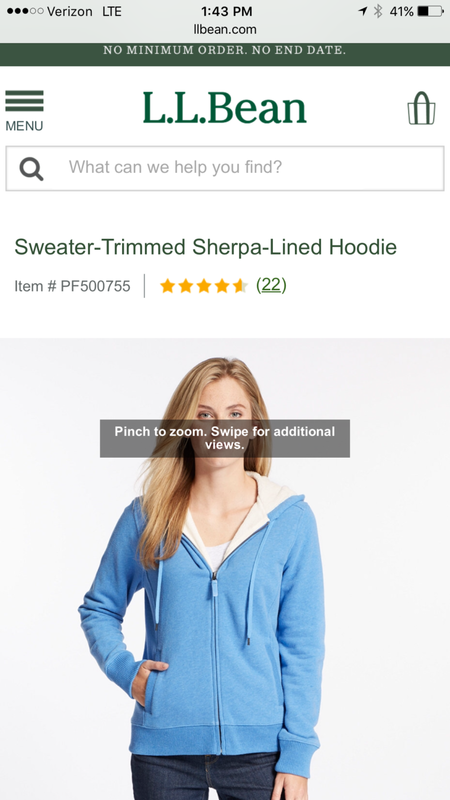 Update Google Shopping to match voice search queries. If you’re running Shopping Campaigns, matching them to voice search queries during the holidays can increase your chance for impressions and clicks. When optimizing your title, description, price, or image try to make it relevant to the holiday you’re targeting. Capture link building opportunities with your content marketing efforts. Promotions, coupons, unlinked mentions, or gifts for brand influencers are all opportunities to build links. These are easy wins during the holiday season. You can turn these marketing promotions into contests or content that, in turn, will naturally generate links. 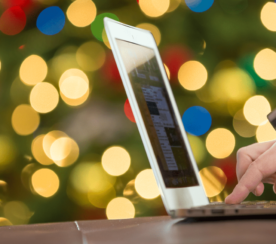 Don’t lie — I know you’ve got a few PPC holiday ad ideas on your wish list. Well, this holiday season many marketers are getting ahead start on their PPC ads. Let’s take a look at a few PPC strategies to try this season. Use remarketing lists with a low bid at the beginning of the holiday season to begin building product awareness. 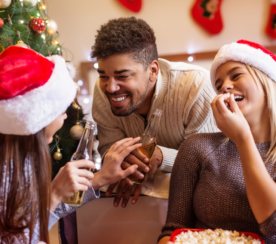 Once the shopping season kicks into high gear, adjust your bids based on previous behavioral patterns. Pair ad copy with marketing calendar. Once you have your keyword holiday list to target, you’ll want to update ad copy to match your new keyword list. I would suggest auto scheduling these to match up with shipping dates and coupon dates. Make use of ALL ad extensions and ad formats. It’s easy to fall into a rut marketing your e-commerce brand during the holidays. By the time you’ve rounded up the perfect products for your entire customer base, you are likely in the repeat zone. This year, avoid resorting to the same old pre-made holiday marketing strategy, it’s all about the holiday gift guide. The holiday gift guide (coupled with an engaging email) will inspire your shoppers and increase sales. A holiday shopping guide is a no-fail plan, and e-commerce brands will no longer be left scrambling at the New Year. From Kate Spade to Anthropologie, e-commerce companies are producing holiday gift guides for consumer shopping convenience. 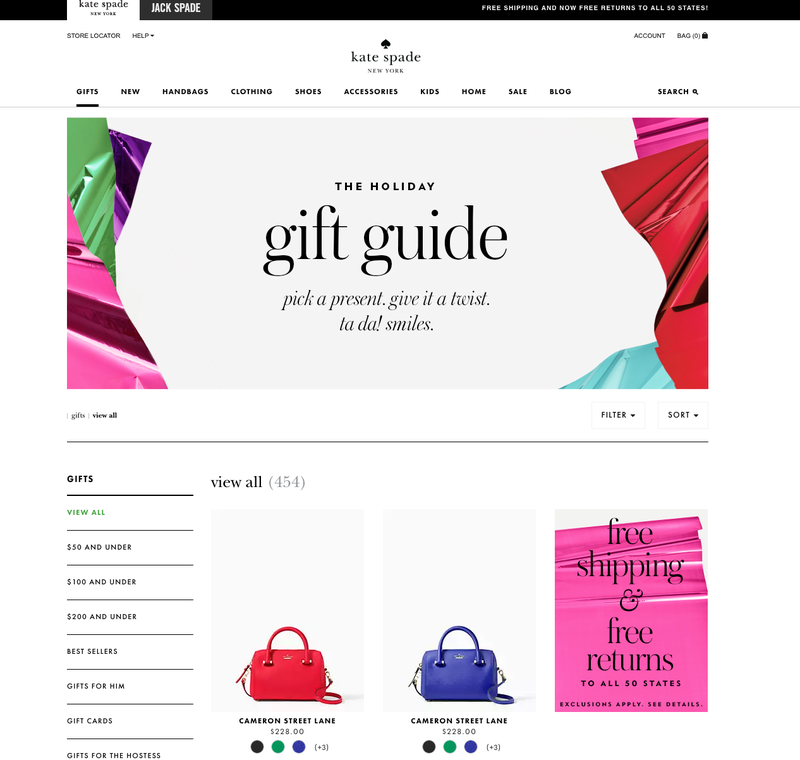 Take a look at how Kate Spade connects the dots for consumers between email and their website. 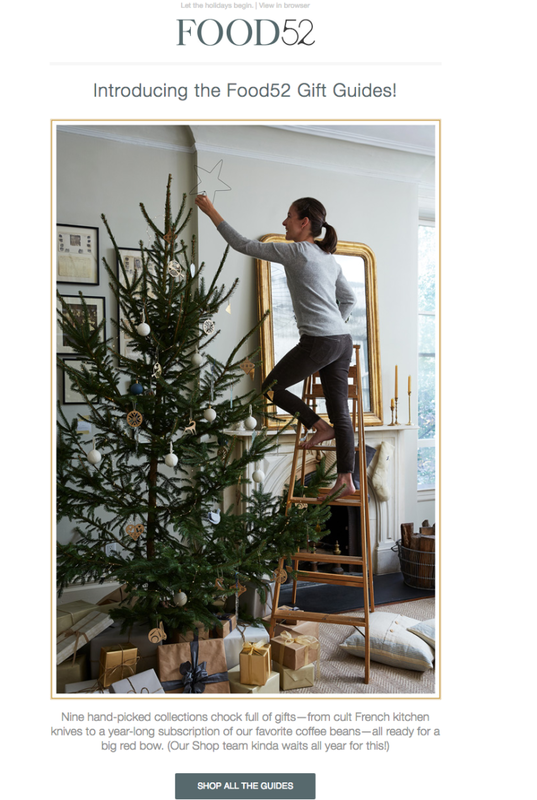 J.Crew also launched their shopping gift guide. And, Food52 launched their holiday shopping guide too! ‘Tis the season to be jolly. 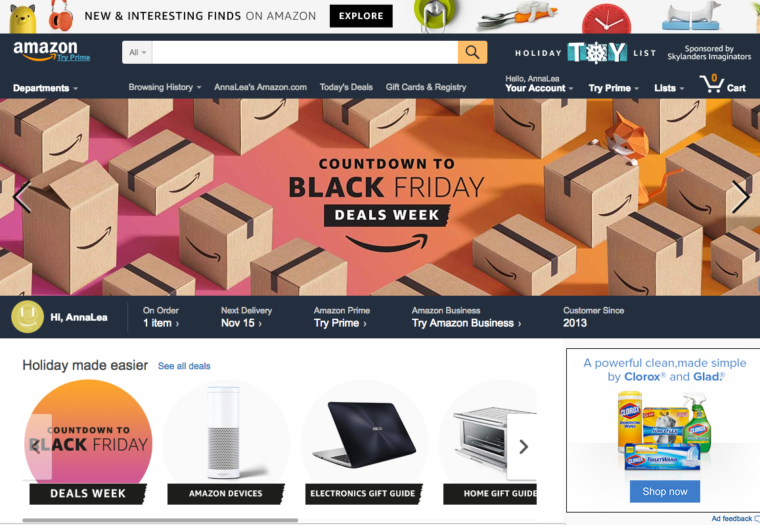 And, what could be jollier than having an e-commerce site with the fastest site speed that’s commandeering the web, and settling in for 12 days of deals marathon on Amazon? Nothing, that’s what. Radware reported 57% of site visitors would abandon a web page after three seconds if they are unable to interact with the key content. That’s 57% of site traffic lost. With Halloween behind us, it’s time to set our sights on marketing this holiday season. That means a lot of holiday music, hot chocolate, and more visitors to your website. So, what is a better way to get into the holiday spirit than taking steps to increase your site speed to increase sales? You didn’t want a repeat of 2014 when desktop pages were 20% slower than 2013. Just take a look at what happened to Best Buy. Their site was down for several hours on Black Friday. HP and H&M are also guilty of having their sites down during the holiday rush. So, what can we learn from the e-commerce blunders? Site performance is the key to increased revenue. According to Catchpoint, Walgreens had the speediest e-commerce website last year with an average load time of 1.41 seconds. And, they reported a 48.5% increase in sales for their first quarter. Meanwhile, Gap took the top spot with the fastest load time on mobile devices with an average load time of 1.11 seconds. 79% of shoppers who are a dissatisfied with website performance are less likely to buy from the same site again. CDN: If you’re not using a CDN, now is the season to invest in one. A CDN allows your website to accelerate the delivery of static content. Target and Apple both use Akamai. Third-party services: These are okay, but try to keep it to a minimum. Third-party services like social media plug-ins or video can enhance the user experience, but at the cost of performance. If it’s going to slow your entire site, find a way to implement it without a third-party service. Asynchronous scripts: Utilize asynchronous loading to skip over slow-loading elements. This allows your core site information to load first giving the impressions of a faster load time. Image optimization: Remember to always reduce your image file size and ‘Save for Web’ option in Photoshop. Or, use TinyPNG before uploading images to your site. Clean code structure: You want to have minimal JS scripts, CSS at the top, and keep both minified. Which would you rather shop on? With the holidays approaching fast, e-commerce business owners should run speed tests to see if you can benefit from speed optimization. Improving page load times can potentially increase the number of visitors who will buy. 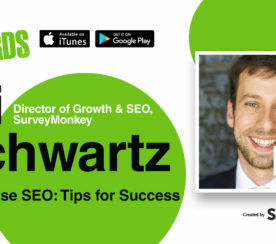 If you want more information why page speed can mean more sales, check out SEJ’s Marketing Nerds podcast with Fili Wiese. Raise your hand if you’ve shopped on a mobile device.  Now, raise your hand if you’re an e-commerce business with an optimized mobile shopping experience. That’s what I thought: EVERYONE has pretty much shopped online, but not everyone has an optimized mobile shopping experience. Mobile accounts for nearly one-third of all U.S. e-commerce sales now and comScore says mobile spending reached $69.08 billion between November 1st and December 31st last year. So, should your mobile storefront be prepped holiday lights and candy cane-filled displays? I think so. Even eMarketer predicts mobile commerce will increase 43.2% in 2016! You don’t want your mobile site to be left with a lump of coal. 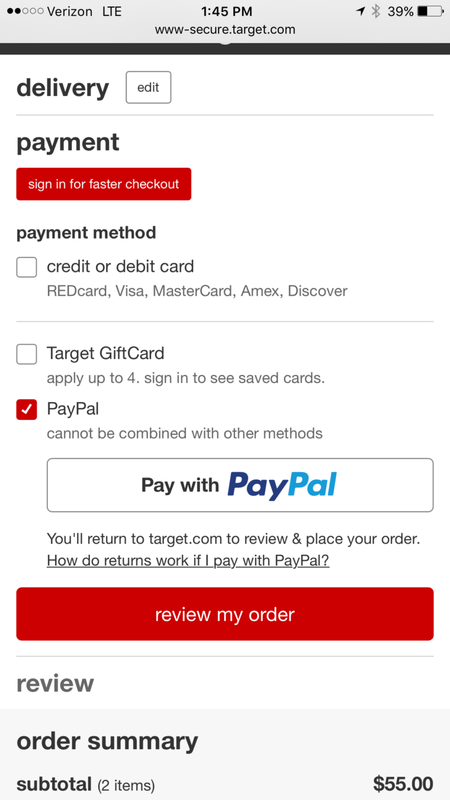 @eMarketer predicts mobile commerce will increase in 2016. So, do you launch a mobile app? Or, optimize your mobile site? This holiday season is about the mobile web, not mobile apps. E-commerce brands like BaubleBar or Alex and Ani won’t leave their mobile apps behind, but their focus will now be pushed toward optimizing the mobile web experience. It’s time to take a holistic approach to mobile marketing like Target, Amazon, and Walmart to attract new and loyal customers. 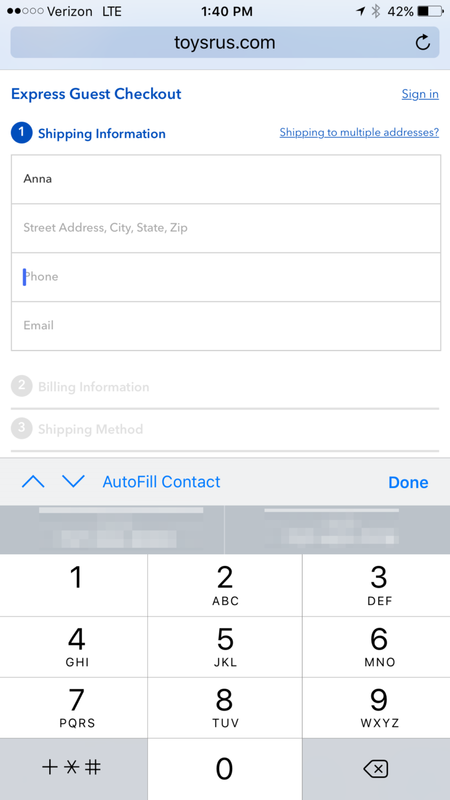 Static images for the homepage: If you’re using an auto-slide carousel, I would suggest using a static image for your mobile site. 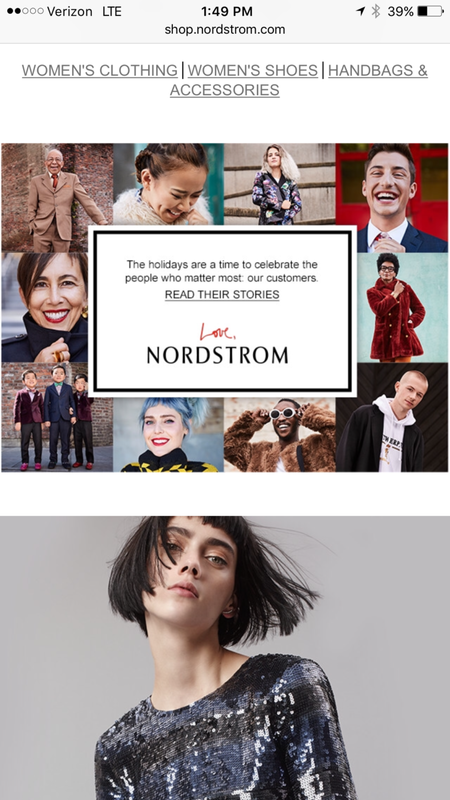 Here’s a look at Nordstrom’s desktop homepage vs. their mobile homepage. If you’re interested in learning more ways to optimize your e-commerce site for the holiday season, head over to Baymard Institute for more. A special kind of magic happens when you begin to personalize the user experience, especially during the holidays. A study by Autopilot found that consumers are 4x more likely to respond to messaging if they receive personalized offers. In the same study, they found that 49% of consumers expect communications that are relevant to their needs. Amazon is a great example of how to personalize the user experience on your website. Just look at how it looks the first week they launched their 12 Days of Deals. 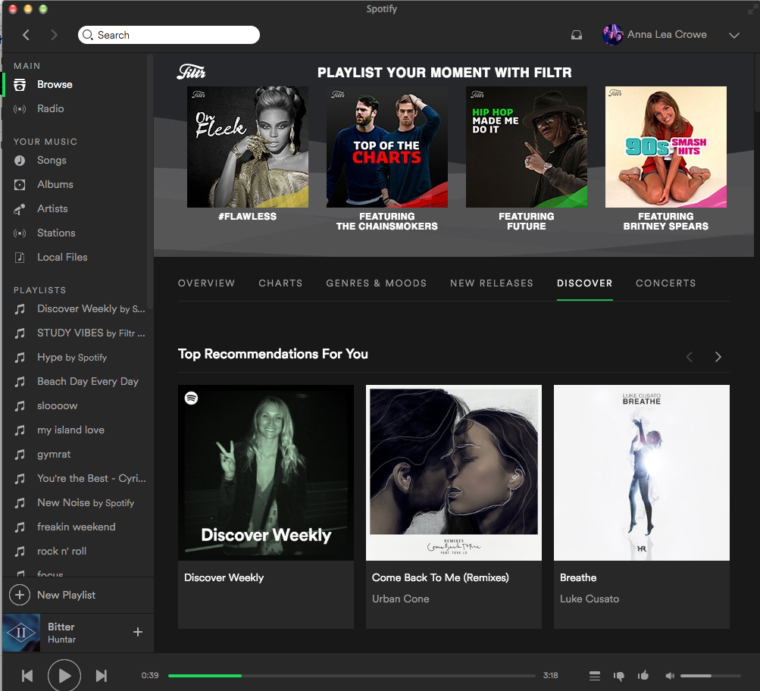 Spotify is another awesome example of how to personalize the web experience. And, Apple is an example of how to upsell your other products. 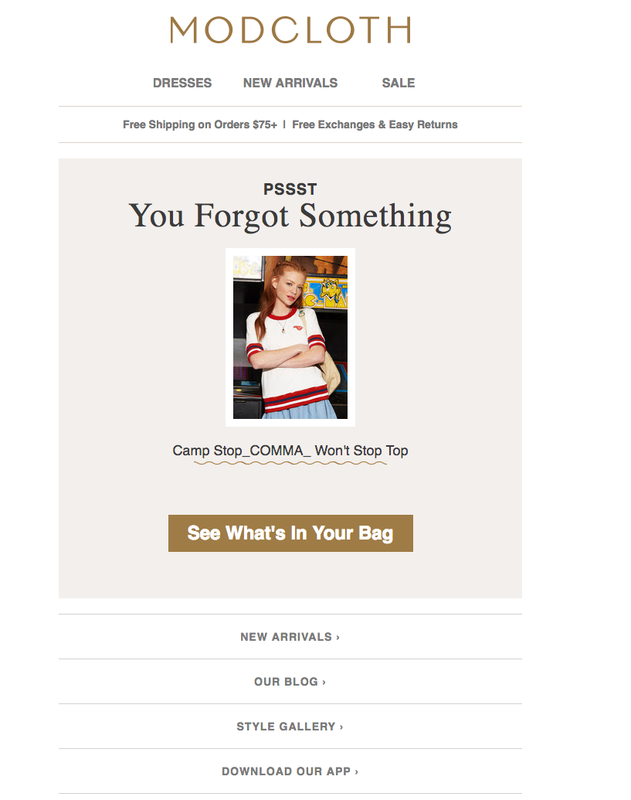 Abandoned cart emails: Abandoned cart emails are a perfect opportunity to create urgency and personalize with products. Modcloth’s example below is simple and effective. Location (or time of day): Using Geolocation messaging helps drive targeted users. 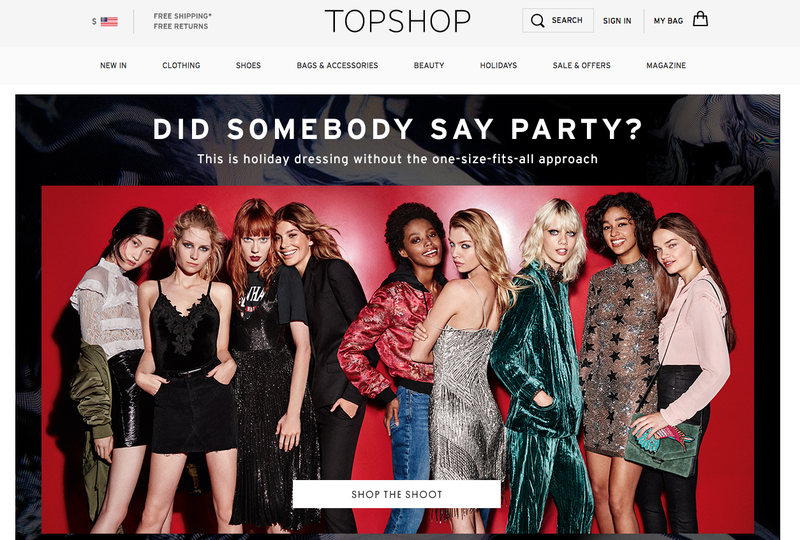 Topshop customizes the experience for users from the beginning. It’s official! Instagram shopping is coming soon. And, online retailers couldn’t be happier! According to Instagram’s announcement, 84% of smartphone users in the US are looking for products on their phone. Brands like Kate Spade, Warby Parker, and JackThreads are amongst the lucky brands that get to test out the tap to view feature. And, that’s not all from social. Pinterest announced that there are 150 million people on Pinterest each month. With that in mind, utilizing Pinterest’s buyable pins creates another opportunity to enhance your consumer’s shopping experience. Shopping with Pinterest gives users a holistic approach to your brand. You can also marry these social tactics with Facebook mobile ads. As I mentioned above, this year is going to be the season for mobile users, so allocating money in your budget to Facebook mobile ads would be the star on top of the tree. Social media is the best way to talk to your community so be sure to share your marketing efforts across your social channels. 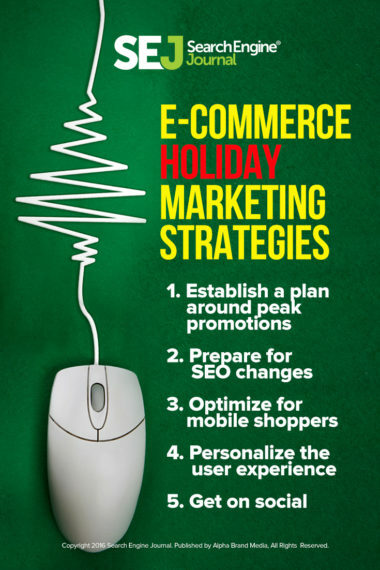 How Will You Market Your E-Commerce Brand This Holiday? Marketing during the holidays is really about finding the gaps you need to fill and how to better support your customers. If any of you are as excited as I am about the upcoming holidays, I’d love to hear from you what you’re plans are in your marketing calendar. Please share below in the comments! In-post Photos: All images taken by Anna Crowe. Taken in November 2016.